UPPER WEST SIDE — Morningside Montessori School considers itself one of the neighborhood's best-kept secrets. "A lot of new people are coming into the community and the neighborhood and they just don't know about us," said Executive Director Nour Goda. But local parents who went to the 50-year-old school as children are now sending their children there, and so are several of the teachers have been with the school for more than 30 years. The blended Montessori preschool on 251 W. 100th St. incorporates traditional Montessori teaching but leaves room for other philosophies, said Goda. The school prides itself on creating and sustaining a nurturing and compassionate environment, words that are part of the school's mission statement, she said. "You think about Montessori as being a very individualized education and yet in the long run it teaches you that your individuality is only as important as understanding the community — that when you can understand empathy, how another person feels, then you can respect that individuality within yourself," she said. 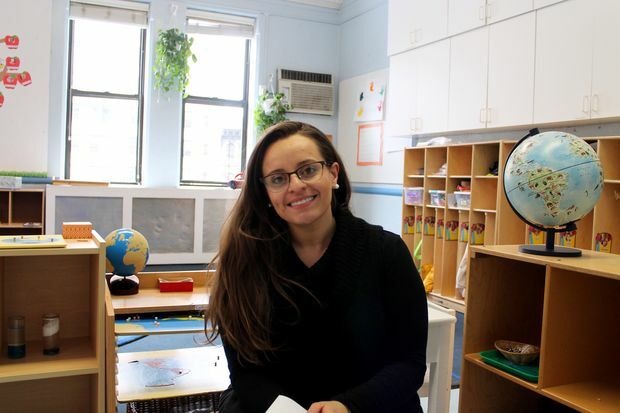 Though much has remained the same, Morningside Montessori is evolving as well, said Goda in an interview with DNAinfo. What's new at the school? What's new is our Small World Language program that started two years ago. We now offer Spanish and Mandarin to children ages 3 to 5. When you're in New York City and diversity is everywhere, it's important to represent that in our classrooms, not just through a culture center but through actual instruction. The younger the children are the more their brains can imbibe...There are also links between being multilingual and developing quantitative skills. You said you have great teacher retention. How are you able to achieve that? Our teachers are so excited every single day to see the kids. We have a teachers' fund where teachers can sign up for anything — whether it’s a gym membership, museum memberships. There are funds allocated for that. We think its important to nurture teachers. If our teachers are happy then we have the community that we’re trying to build. [At most preschools] it’s really hard to keep teachers… [ours] are really committed to Morningside. This really is a home away from home. More than anything else, what sells our school is the relationship between our children and our teachers. How do you stay up-to-date with early childhood research and in improving the school? Often times the new research is just reaffirming the new research that Dr. Montessori established many years ago. I recently began the Montessori Administrators Program. That has helped me to help the staff. Learning... this is what other schools are doing. Even when it comes down to parent communication. For parents who are working all the time you need newsletters… parents need these things because they physically cannot be present all the time. We’re boosting and fortifying our system of communication. How do you help parents? We have parent education workshops — like, "What do you need to know about your toddler?" "How to educate a Montessori child," "Things to do with your toddler in New York City," "How toddlers thrive," and so our teachers and our administration help to facilitate these workshops. But also this year, we're offering prenatal yoga classes for free to people who are just in the community, they don't necessarily have to be a part of our school. [Also,] we have a very flexible schedule. We are open until 6 p.m. and there are times when many of families are running late; we're not the kind of school that's like "you're late, the door is locked, it's closed." We care about these children and they'll stay with us until mom, dad, nanny get here — it's not a big deal. What is the diversity like at your school? This is what sold me — is the diversity on staff and among the children that I saw. And socioeconomic diversity and [of] ability. It’s an eclectic parent body. We are representative of the [local] community from 145th downwards and 70s upward. We do have an admissions process, [but] we never ever turn away a child just because he or she has special needs. We have children here who struggle with autism. We work with the families. We welcome them. There are schools out there that will filter. Our teachers like the challenge. How do you create a culture of respect at the school? Grace and courtesy is a fundamental tenet. It was one of [Montessori's] main tenets. Having the adults intrinsically know grace and courtesy, it filters down to the children. Children get to observe those interactions: how are these adults interacting? Demonstrating grace and courtesy; saying excuse me and thank you — simple things like that done over time. I think we do do it very well. [The teachers'] tone with one another is amazing. Why do your classrooms have mixed ages? There's this mentor-mentee relationship that happens when you have a mixed age group. You do have the older ones who are watched by the younger ones. Theyr’e learning how to speak to their teachers… we know that we learn best from our peers and not from adults. The older children reinforce by teaching the younger ones. You learn something by teaching it.